Anima Eterna Brugge arrives at Lincoln Center. Crooked: the horns of Anima Eterna Brugge. The practice of performing classical music on instruments either built or designed in the 18th century is not a new one. 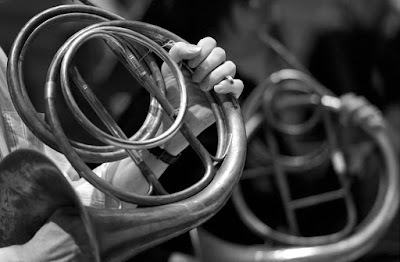 It is refreshing to hear familiar music on unfamiliar instruments: wood-and-ivory flutes, cat-gut violins and natural brass horns, which require the players to manually switch between different-lengthed tubes of brass (called "crooks") in order to alter the range of available notes. On Thursday night, one such specialist orchestra made its U.S. debut: Anima Eterna Brugge. 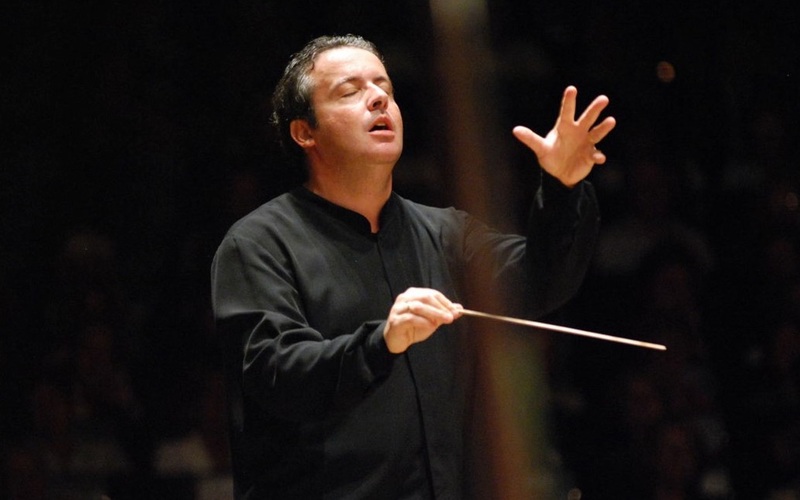 Concert Review: Brought To You By The Letter "B"
Juanjo Mena conducts Beethoven and Bruckner. 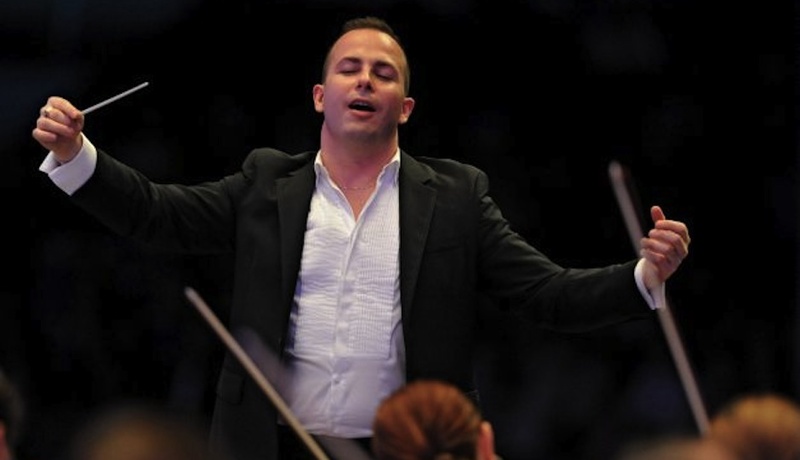 In search of transcendence: conductor Juanjo Mena. Photo © 2016 Columbia Artists Management Inc.
On the same day that the New York Philharmonic announced the appointment of Jaap van Zweden as its 26th music director, the orchestra was scheduled to perform two classic works from the 19th century. 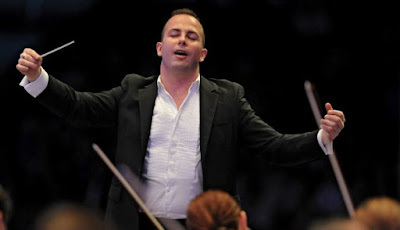 On the podium, Juanjo Mena, the Spanish conductor who is music director of the BBC Philharmonic. He was leading the Beethoven Violin Concerto (with soloist James Ehnes) and Bruckner's Symphony No. 6, a lesser-known example of that composer's art. Interestingly, this is the type of conservative program that might be ideally suited to Mr. van Zweden's talents. The Philadelphia Orchestra plays Haydn and Bruckner. On the podium: Yannick Nézet-Séguin. Image courtesy the Philadelphia Orchestra. The concert began with a little bit of theater. As music director Yannick Nézet-Séguin stepped onto the podium at Carnegie Hall, Philadelphia Orchestra principal timpanist Don Liuzzi unleashed the opening notes of Haydn’s Symphony No. 103, Mr. Nézet-Séguin jumped back in mock shock, clutching the brass rail of the podium, before giving the strings their downbeat to launch the opening bars of this symphony, which is nicknamed the "Drum Roll." Jaap van Zweden is the Philharmonic’s next music director. 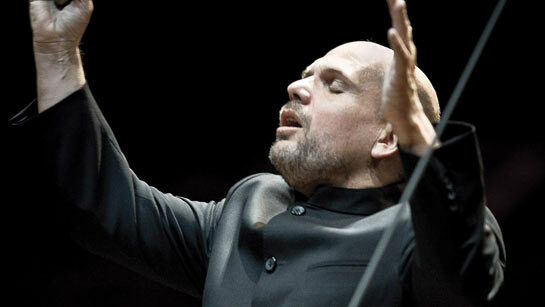 Jaap van Zweden is the 26th music director of the New York Philharmonic. Photo by Hans van der Woerd for the Netherlands Radio Philharmonic Orchestra. At last there is white smoke coming from David Geffen Hall. In a press conference Wednesday morning, the New York Philharmonic announced that Jaap van Zweden would become the orchestra’s next music director, succeeding Alan Gilbert at the helm of America’s oldest professional symphony orchestra. He will be the 26th music director in the orchestra’s illustrious 174-year history. Ambitious 2016-17 season offers Mahler, Bruckner and a Venetian festival. 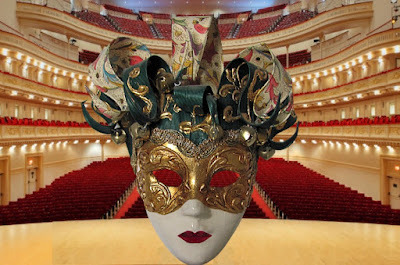 The Venetian festival La Serenissima comes to Carnegie Hall in February 2017. Original image courtesy of and © 2016 by Carnegie Hall. 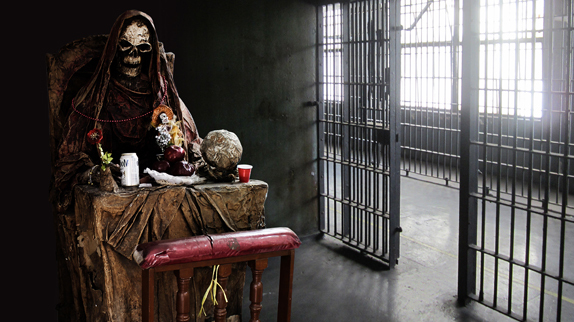 Photo alteration by the author. For the last three years, Carnegie Hall's annual press conference unveiling the slate of its forthcoming season has been held upstairs at the no-longer-new Resnick Education Wing, atop the world-famous music hall at the corner of West 57th St. and Seventh Avenue. Today's conference featured a lengthy presentation by still-reigning Executive and Artistic Director Clive Gillinson, a conversation between Mr. Gillinson and next year's composer-in-residence Steve Reich, and the distribution of weighty vermilion folders to members of the working music press. From the looks of the schedule, next year is going to be...big. Star tenor nixes Met Manon Lescaut. Jonas Kaufmann and Kristine Opolais (left) will not reunite in the Met's new Manon Lescaut. Here they sing the roles of Manon and Des Grieux in Munich in 2014. Photo © 2014 Wilfried Hönl. Jonas Kaufmann, the German tenor who rose to become one of the most popular opera singers both on the stage of the Metropolitan Opera and in the opera houses of the world, has cancelled his February appearances in New York City, including his commitment to sing in the Met’s new production of Manon Lescaut. The announcement came earlier today. New York City Opera Renaissance presents Tosca. 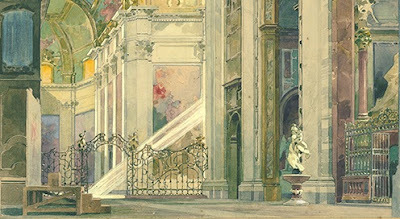 Painted set design depicting the Church of Sant'Andrea della Valle in Rome. Painting by Adolfo Hohenstein, © 2016 New York City Opera Renaissance. This week, at Lincoln Center's Rose Theater, located at the north bastion of the Time Warner Center, the New York City Opera officially came back to life. Now dubbed New York City Opera Renaissance, the company's first offering since coming out of Chapter 11 is the same opera it started with way back in 1944: Puccini's Tosca. With its painted trompe l'oeil flats and discount rococo furniture, this was a very traditional, somewhat stodgy production, using the set and costume designs by Adolfo Hohenstein that date from the opera's world premiere in 1900. 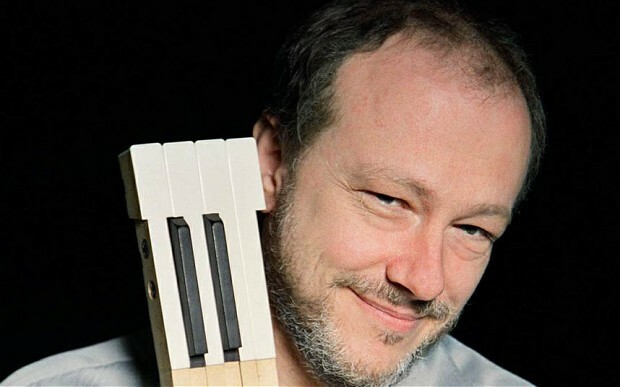 Marc-André Hamelin returns to Carnegie Hall. Marc-André Hamelin grabs a slice of the piano. Photo © Marc-André Hamelin courtesy Hemsing Associates. When Canadian virtuoso Marc-André Hamelin visits Carnegie Hall, he usually plays downstairs in the sleek subterranean confines of Zankel Hall. However, Wednesday night's concert was on the big stage of Stern Auditorium. He offered a carefully curated program that explored many aspects of his art, including composition. Each half started simply and increased in difficulty, climaxing in works by Ravel and Liszt. The Tangerine Dream founder was 70. Plugged in: Edgar Froese at work in the studio. 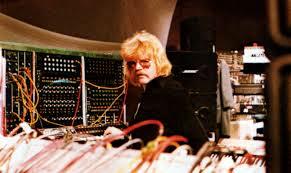 Edgar Froese, the electronic music pioneer who founded the pioneering German group Tangerine Dream, died at the age of 70. The keyboardist suffered an unexpected pulmonary embolism on January 20 while in Vienna, Austria. Sondra Radvanovsky goes back to the chopping block. 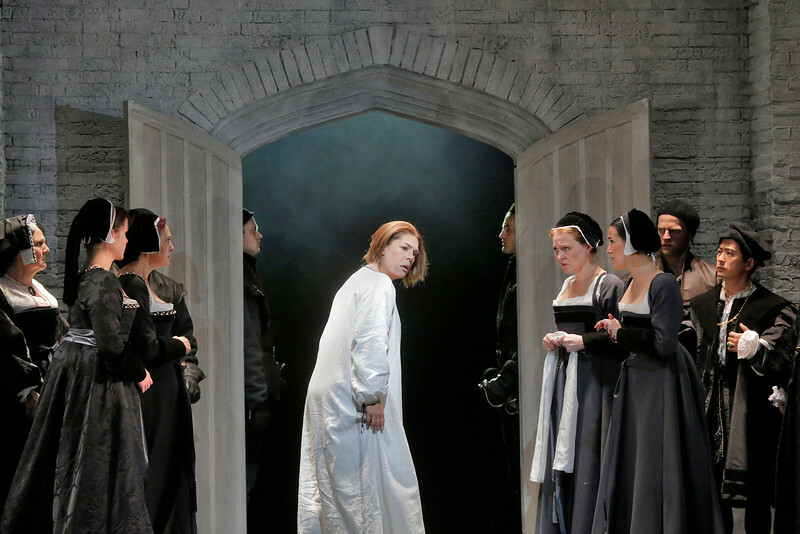 Waiting for axeman: Sondra Radvanovsky as Mary, Queen of Scots in Maria Stuarda. Photo by Ken Howard © 2016 The Metropolitan Opera. All New York opera lovers hail the queen as Sondra Radvanovsky sings the title role of Mary, Queen of Scots in Maria Stuarda, the second of Donizetti's three operas depicting the stormy history of England under Henry VIII and his daughter Elizabeth I. The Cleveland Orchestra returns to Carnegie Hall. 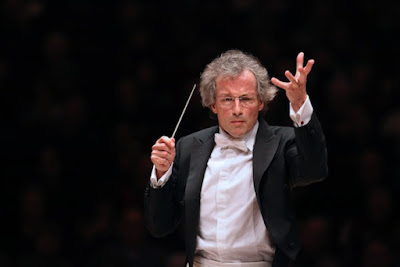 Franz Welser-Möst led the Cleveland Orchestra on Sunday night at Carnegie Hall. Photo by Steve J. Sherman © 2015 Carnegie Hall. The arrival of the Cleveland Orchestra at Carnegie Hall on Sunday coincided with the first brittle snow to land on New York this winter, a glittering and skittering fall that made the air sharp and cold and footing treacherous on the sidewalks. That made getting to the Hall that Music Built for Sunday evening's concert an effort. Those who made the trek were well rewarded by one of the most ambitious concert programs of this new year: a new work paired with Shostakovich's under-performed Symphony No. 4 in C minor. The Met revives the bloody verismo double bill. Trucking hostile: Marcélo Álvarez in last year's Pagiiacci. Photo by Cory Weaver © 2014 The Metropolitan Opera. 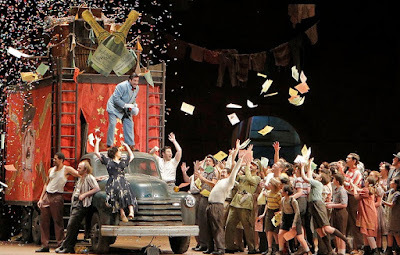 Although they were written by two different composers, the one-act operas Cavalleria Rusticana (by Pietro Mascagni) and Pagliacci (by Ruggerio Leoncavallo) go together like bacon and eggs. This year, Known in the trade as "Cav/Pag", these two operas are each bloody tragedies of jealousy and murder in small-town rural Sicily. The American Modern Ensemble premieres a pair of chamber operas. The composer and his title character. Original photo of Stewart Copeland © 2015 by Shayne Gray. The spirit of artistic invention was in full flower on Saturday night, as American Modern Ensemble premiered its production of a pair of chamber operas at Dixon Place, the engaging bar and cabaret that hides a robust subterranean performance space on Chrystie Street. 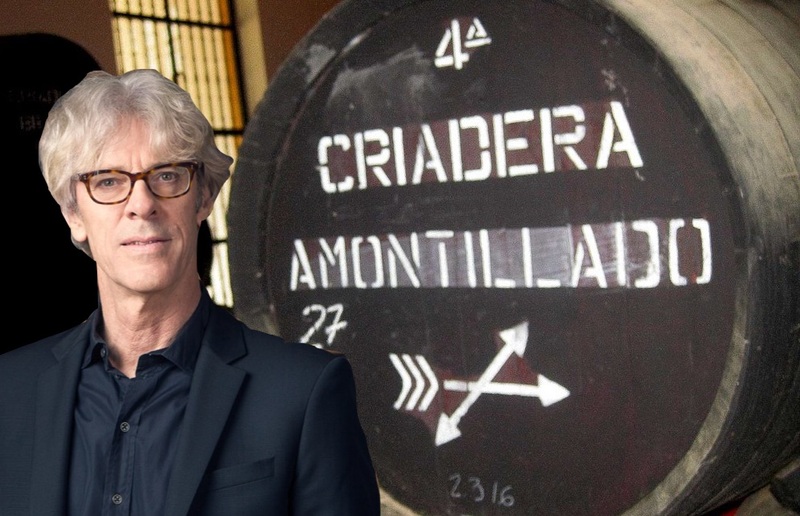 The operas were The Whole Truth by AME artistic director Robert Paterson and a new orchestration of The Cask of Amontillado by rock star turned composer Stewart Copeland. The New York Philharmonic goes massive and modern. 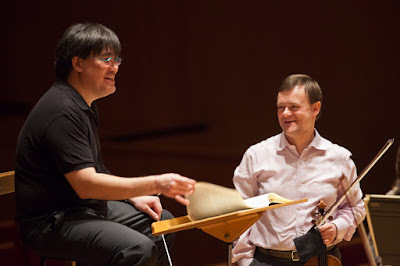 Alan Gilbert and Frank Peter Zimmermann on tour in Europe 2012. Photo by Chris Lee © 2012 rThe New York Philharmonic. With the announcement of the 2016-17 season only a few weeks away, the New York Philharmonic is playing well for outgoing music director Alan Gilbert. On Friday morning at David Geffen Hall, the orchestra was joined by soloist Frank Peter Zimmermann its second performance of Magnus Lindberg's Violin Concerto No. 2. The Lindberg work, which premiered with the London Philharmonic late last year, was flanked by two heavy 20th century bookends: Respighi's Vetrate di chiesa ("Church Windows") and Stravinsky's The Rite of Spring. The Philadelphia Orchestra at Carnegie Hall. The maestro in flight: Yannick Nézet-Séguin. Photo by Jan Egan © 2016 The Philadelphia Orchestra. The city of Vienna is a hallowed place, haunted by the ghosts of the great composers, a galaxy of talent from Beethoven to Zemlinsky. 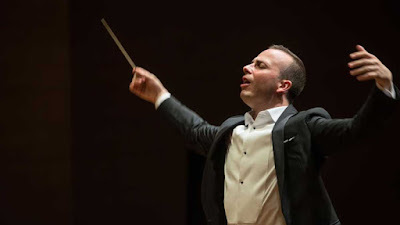 oOn Thursday night, Yannick Nézet-Séguin and the Philadelphia Orchestra gave their first Carnegie Hall concert of 2016' a program that bridged together the work of four great composers, all of whom had strong connections to the city by the Danube. Lisette Oropesa opens 2016 recital series at the Armory. Lisette Oropesa (right) and pianist John Churchwell at the Park Avenue Armory. Photo by Da Ping Luo © 2016 Park Avenue Armory. Lisette Oropesa is rapidly advancing to the front rank of sopranos that sing lyric repertory on the world’s operatic stages. 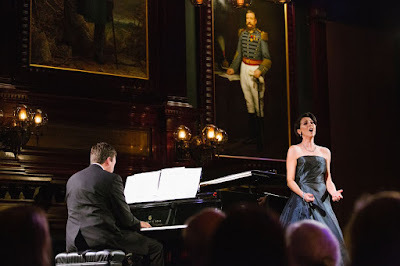 Now 32 and a decade out of the Metropolitan Opera’s Lindemann Young Artists Program, the willowy Cuban-American soprano appeared this week at e Park Avenue Armory, with two concerts to open that institution’s 2016 series of recitals in the historic Board of Officers Room. Ed Harris' 2006 biopic hits some of the right notes. A bewigged Ed Harris scores in Copying Beethoven. Photo © 2006 MGM/United Artists. Copying Beethoven was barely noticed when it came out ten years ago. Released by MGM/UA, this 2006 film by Agnieszka Holland stars Ed Harris as the composer in his 54th year, battling deafness and inner demons as he struggles to finish the Symphony No. 9 in D Minor. 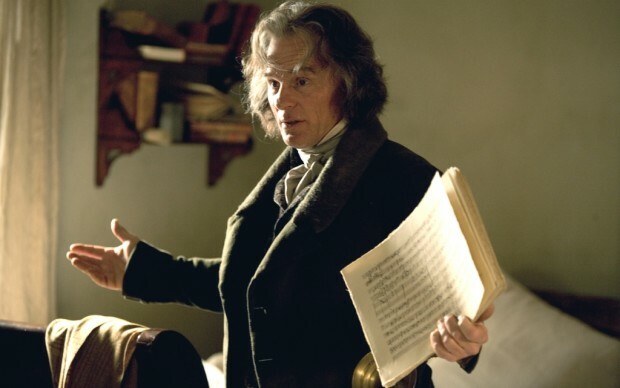 The film is a fiction, pairing Beethoven with Anna Holtz (Diane Kruger) a 23-year old coal miner's daughter (no I'm not making that up) copyist and aspiring composer. She meets Beethoven when she is employed to correct and edit the players' parts four days before the premiere of the Ninth. David Bowie in the video for the title track of Blackstar. David Bowie, whose contributions to music, art, fashion and popular culture mark him as one of the most important artists of the 20th and 21st centuries, died yesterday after an 18-month battle with cancer. 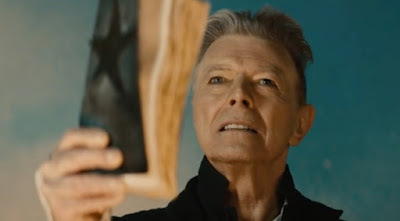 The artist had just celebrated his 69th birthday with the release of ★ (Blackstar), his 25th album. PROTOTYPE Festival presents The Last Hotel. and Robin Adams (right) in The Last Hotel. Photo by Teddy Wolff © 2016 PROTOTYPE Festival. The PROTOTYPE Festival, an annual celebration of the avant-garde in opera and modern music crossed the East River on Friday night, with the New York premiere of The Last Hotel. 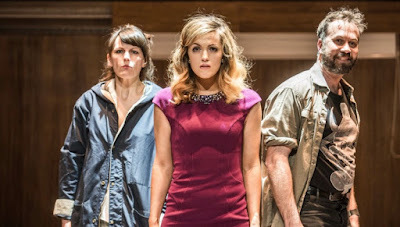 This is a new work, a collaboration between Irish composer Donnacha Dennehy and librettist/stage director Enda Walsh. Set in a grim seaside hotel on the coast of Ireland in contemporary times, it is part exploration of life, death and uncomfortable triangular relationships. The work was presented in the newly refurbished St. Ann's Warehouse, a former tobacco storage that is now gorgeous arts space under the shadow of the Brooklyn Bridge. The Philharmonic is bringing Wagner back. A couple of swells. Eric Owens (left) and Alan Gilbert at the Japan Society in 2008. The New York Philharmonic tested its reputation as an opera orchestra on Thursday night, with the first concert of an ambitious program featuring most of the third act of Richard Wagner's Die Walküre, the most performed and best-loved episode in his mythological magnum opus Der Ring des Nibelungen. 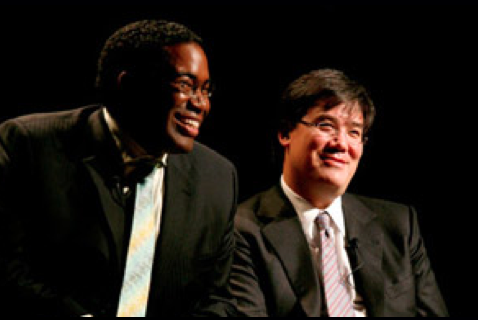 This concert was the first new program of 2016 under the baton of Alan Gilbert and marked Eric Owens' first New York appearance singing the role of Wotan. The French conductor, composer, creative force was 90. Pierre Boulez on the podium. He never used a baton. Photo © Universal Music Group. Pierre Boulez died yesterday. He passed at his home in Baden-Baden, Germany, according to a report published on the The French composer and conductor was a key figure in shaping the music and performance style of the latter half of the 20th century. He was 90 years old. 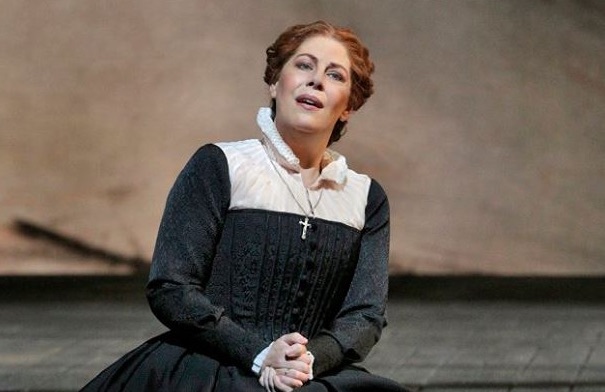 Sondra Radvanovsky takes on Donizetti's Anna Bolena. scene of Donizetti's opera Anna Bolena. The Metropolitan Opera has slated five five Donizetti operas for this season, with the featured presenation being Sondra Radvanovsky's traversal of the "three queens", operas that depict the tumultuous Tudor dynasty in British history. The first of these is Anna Bolena, with Ms. Radvanovsky as the ill-fated second wife of Henry VIII. The production, seen Monday night at the Met, will be followed later this year by Maria Stuarda and Roberto Devereux, also starring the American soprano. 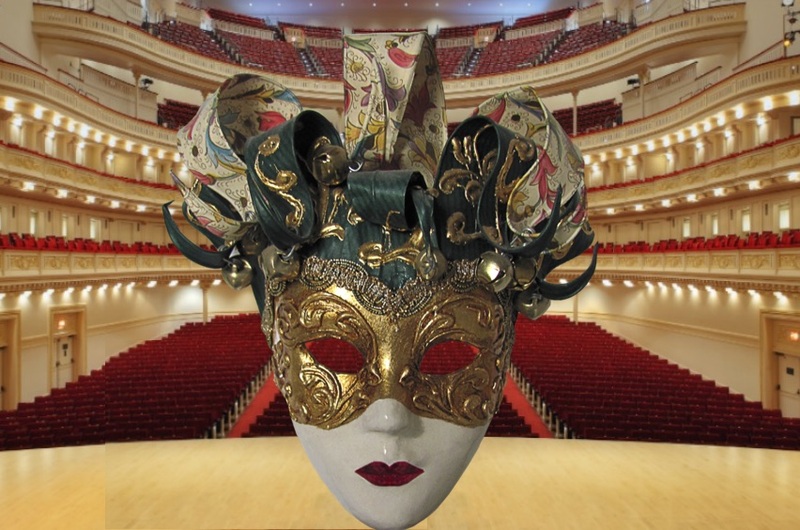 Four new operas and three concerts offer the best of new opera in New York. Image from La Reína by Jorge Cano, © 2016 Prototype Opera Festival. Let's face it. Things are not good for opera this year. The New York City Opera is showing signs of revival (we'll know more after the Jan. 20 premiere of NYC Opera Renaissance's Tosca) and the Gotham Chamber Opera upped and folded its movable tents last October. Into that void steps Prototype, the downtown opera festival that has inspired attendees for three straight years. Its fourth season, opening Jan. 6, boasts seven shows that aim to push the envelope of contemporary opera for listeners. Perhaps there are more interesting things going on than endless revivals of Puccini? The best concerts and recitals of the year that was. 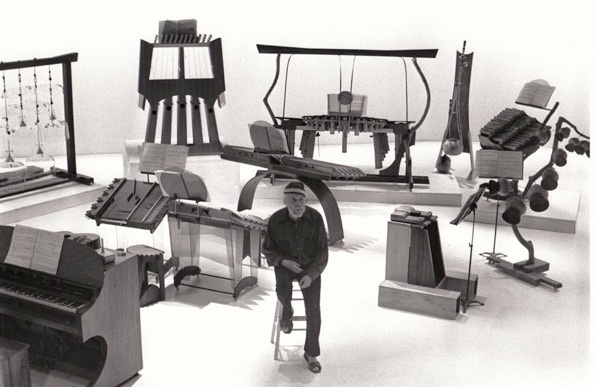 Goldberg, the experimental presentation of Bach at the Park Avenue Armory. 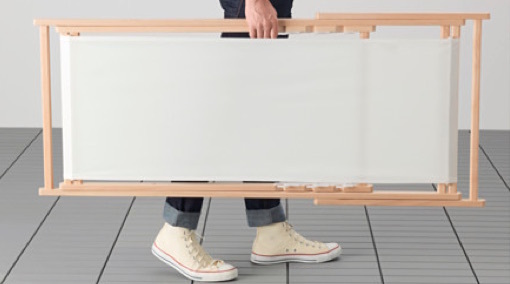 Photo from IKEA.com © IKEA. 2015 was a year of farewells. Pierre Boulez, having turned 90 quietly stepped off the podium. Kurt Masur passed away. Valery Gergiev ended his term with the London Symphony Orchestra and Alan Gilbert announced that he would be moving on from the New York Philharmonic. However it was also a very good year for concert music. This year's concerts were in a variety of settings: Lincoln Center, NJPAC and even a beach chair in the middle of the darkness of the Park Avenue Armory. All that and more is in the list of the ten best concert experiences I had in 2015. All links lead to full reviews and all quotes below are taken from Superconductor articles. The music of the future--today on Superconductor. From the appointment of Esa-Pekka Salonen as Composer-in-Residence at the New York Philharmonic to the astonishing return of Peter Schickele and P.D.Q. Bach (with a new Schickele work on the horizon, more on that later) this was an interesting year for new music. 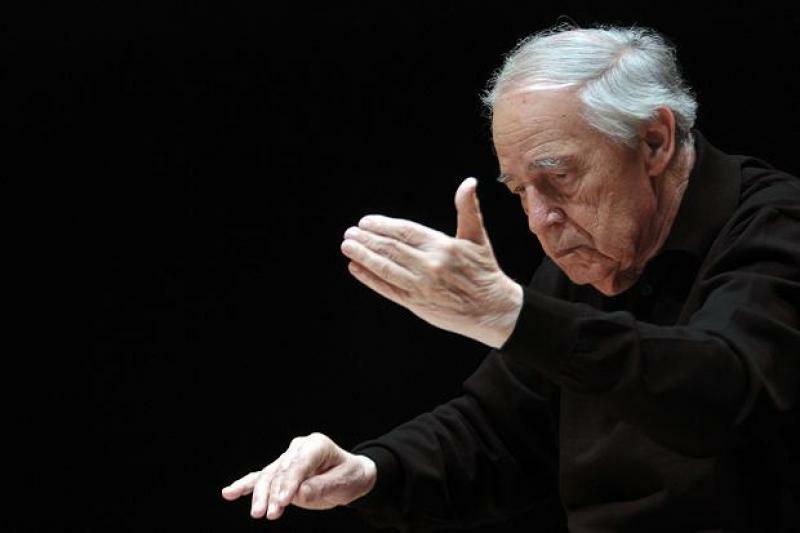 Pierre Boulez celebrated an important birthday and quietly retired from conducting. 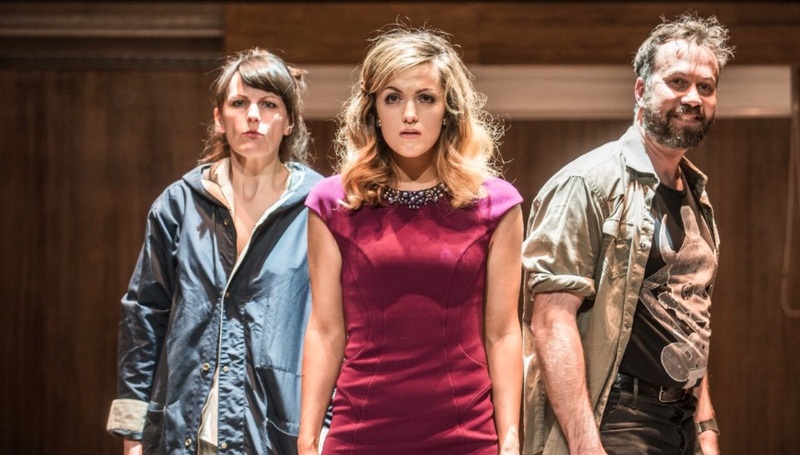 The ten best opera performances of the year that was. Dangerous curves: Marliss Peterson's performance in Lulu was a highlight of 2015. Despite the untimely death of Gotham Chamber Opera, 2015 was largely a successful year for the art form in the New York area and elsewhere. 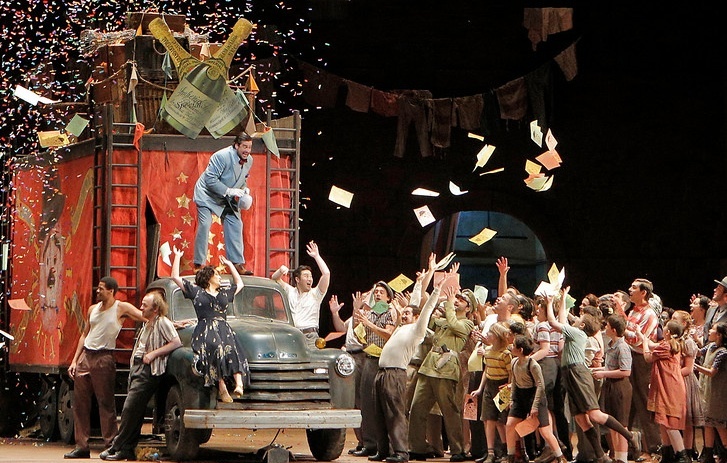 Here's the ten best opera performances that this reviewer saw this calendar year. All titles link to full Superconductor reviews. Chronological order with the oldest first. Bad things that happened in the year that was. We've done this as throwing of the eggs. 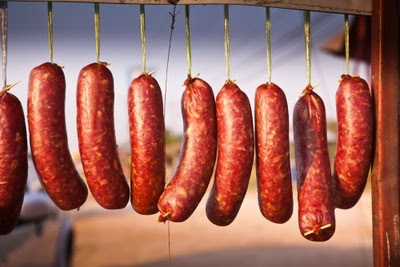 Here it's sausage. Part of a complete breakfast. This is the time between concert reviews where we wrap up the very strange year that was 2015. Let's open with the lowlights of the year and then we'll get on to the best-of's. So without further ado here are the worst things that happened in the classical music and opera sphere in 2015. No particular order.